Back to school is officially here and many children have already had their first week of school! My 2 preschoolers start at the end of the month so we have been doing “back to school” crafts lately to get them really excited about going back. This craft is fun whether your children have started back to school or not. 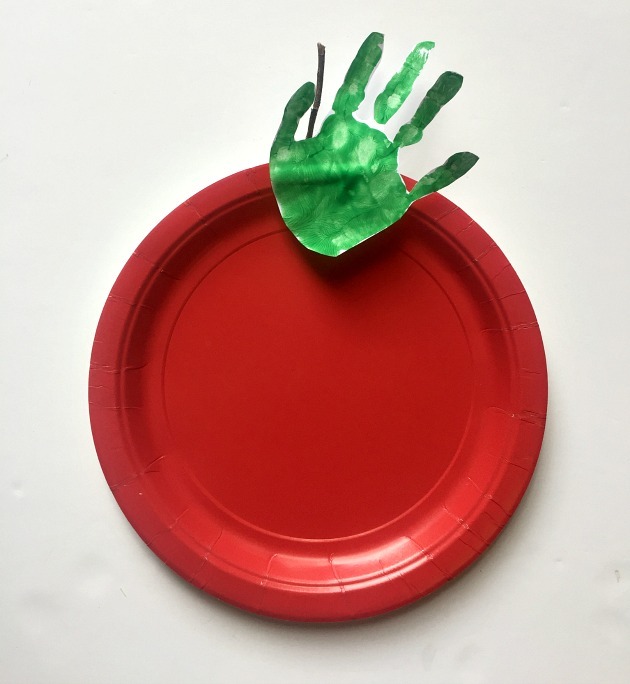 Your child doesn’t even need to be in school to have fun making this apple handprint craft! Gather your supplies and head to the table. 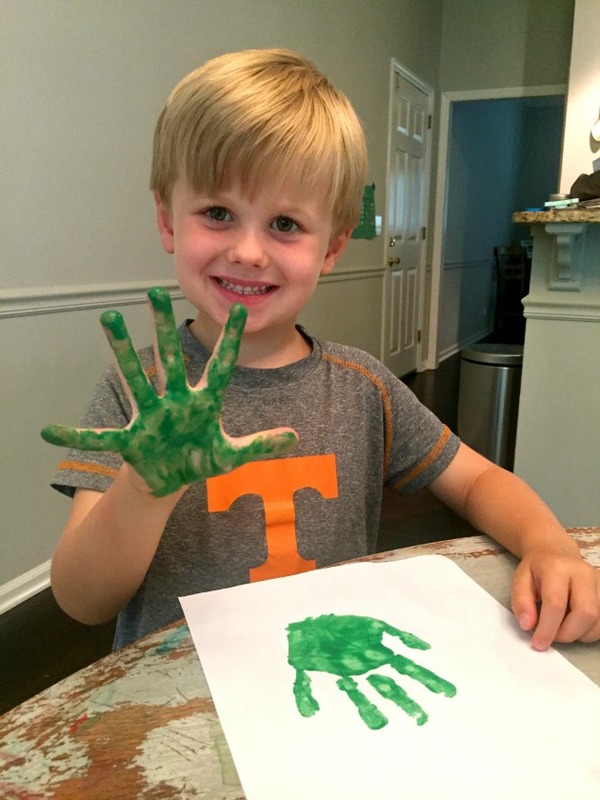 Start by painting your child’s hand with the green paint. After their hand is completely covered, let them lay it down on a white piece of paper. Wash of paint. *It’s best to use children’s washable paint anytime you are applying paint to his/her skin. It makes washing it off a cinch! While you are letting the handprint dry, cut or brake your twig to about 3-4″. Next, grab your tape and break off a pretty decent size piece. Roll it up and place on the top of your red paper plate. 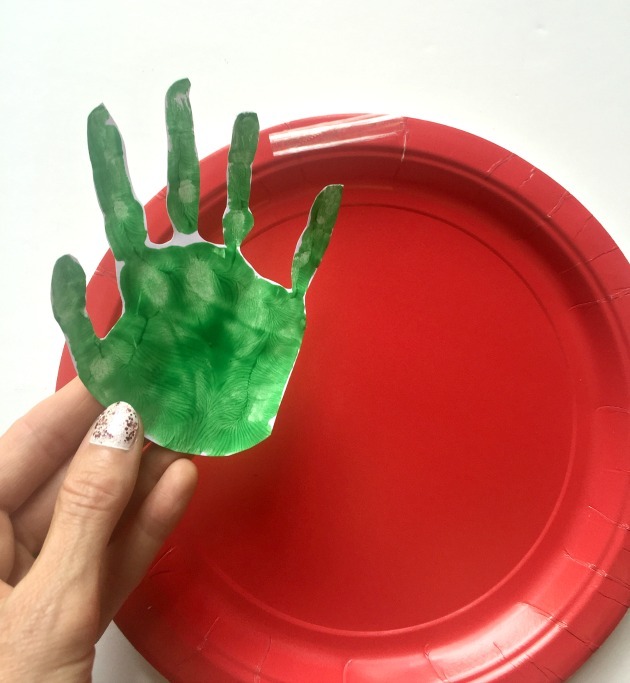 Cut out your child’s handprint and help them place it on top of the tape! The handprint is the leaf. Now you just need the stem. Take the twig and tape on the back of the plate right behind the handprint between the thumb and pointer finger. And there you have your Apple Handprint Craft! It’s a pretty simple craft but kids have fun with those kind of activities! 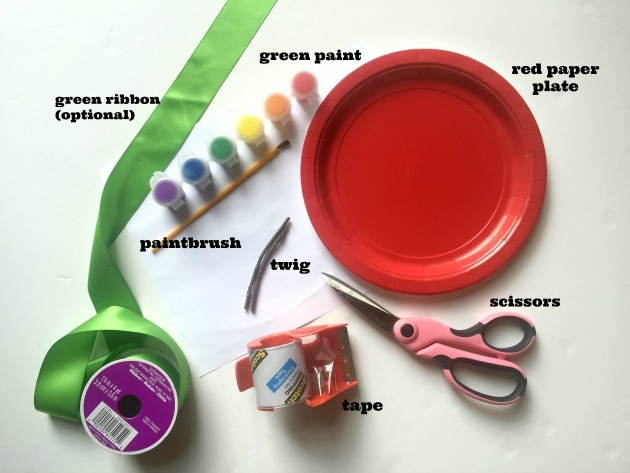 If your child would like to hang their craft, just take some green ribbon, make a loop and tape that to the back of the apple. 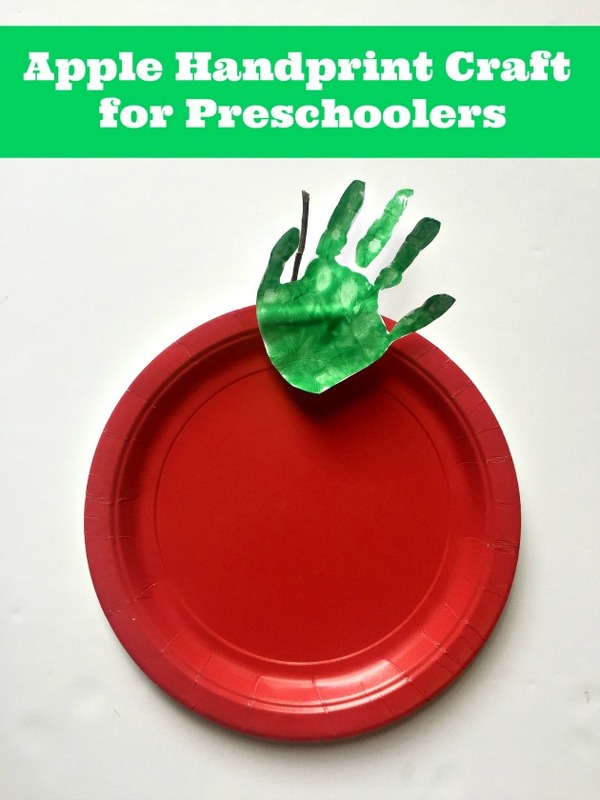 Has your child ever made a handprint craft before? My children love when they get to paint their hands for crafts! Give this easy craft a try the next time you need a quick and easy activity to do with your little one. These are absolutely adorable and starting tomorrow I will be making these with my 2 year old! It is so simple, easy to make and something to cherish for years to come! My 4 year old starts Kindergarten tomorrow.. I can’t believe it! I will make sure to get the supplies needed to make them for both of my little guys! 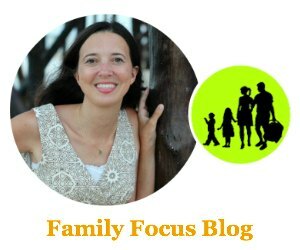 Being a Mommy Blogger I am always looking for crafts and projects to do with my kids and for other Moms! Thanks for posting this!